With just enough top-end sparkle to keep things clear, the MIni Lifejacket III is the clearest-sounding waterproof Bluetooth speaker we've heard. I’ve been a fan of Altec Lansing most of my life, largely stemming from the sonority of the company’s 15-inch 421A speakers that were a preferred woofer and bass guitar speaker for quite a while back in the ‘60s and ‘70s. 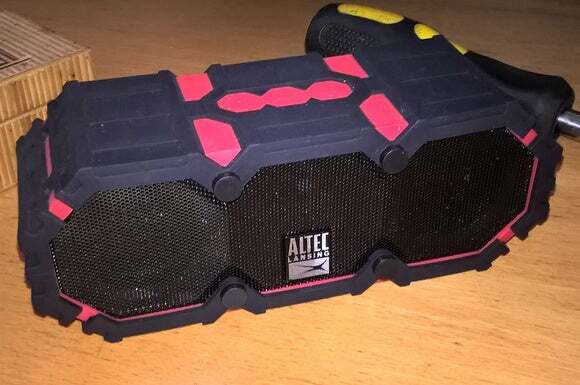 Whether that Altec Lansing company really has anything to do with today’s entity, I can’t tell you, but I do like the sound produced by its $100 Mini LifeJacket III. Rather a lot, I must say. This is a ruggedized and waterproof Bluetooth portable speaker with an IP67 rating, meaning it’s impervious to dust penetration and can survive immersion for up to 30 minute in up to one meter of water. Nearly all the portable Bluetooth speakers I’ve tested have noticeable hot or dead spots frequency-wise. Some accentuate bass, some the mid frequencies, some lack top-end, and so on. The Mini LifeJacket III sounds relatively flat throughout most of the spectrum, with just enough extra top-end to give it some sizzle. Where it's lacking is in thump; what is has leans heavily toward the low mid-range. That may make the kids sad; then again, perhaps they’ll appreciate being able to understand the lyrics. Indeed, one of the tunes I test with is “Renegades,” by the X Ambassadors (you’ve probably heard it in a Jeep commercial). It’s a song I had a tough time deciphering the words to when I first heard it. Why on earth you'd write a super-catchy song with a universal theme, then stunt the message by calling out Stanley Kubrick and Steven Spielberg as prototypical renegades, I have no idea. But it’s easy to hear the band do that on the Mini LifeJacket III. 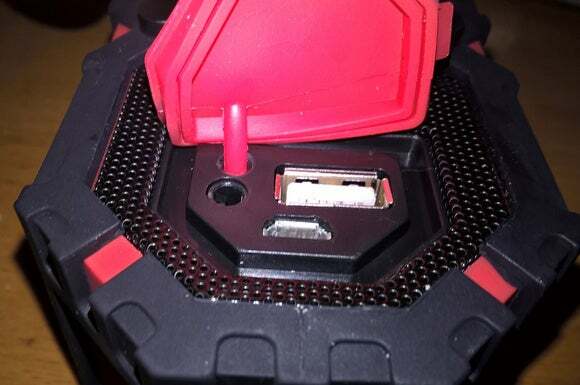 You can use the Mini LifeJacket III's USB jack to charge your smartphone using the speaker's battery. The mini USB port is for charging, and the 1/8-inch aux jack is for analog sources. One thing that just about every Bluetooth speaker lacks is stereo separation, and the Mini LifeJacket III is no exception. 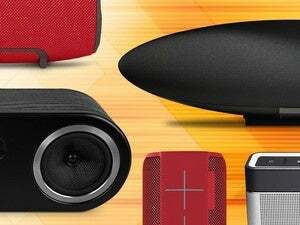 Unless you want a portable speaker that’s three feet wide, it’s part of the design tradeoff. The Mini LifeJacket III, however, supports True Wireless Stereo (TWS) pairing. TWS means you can buy two speakers and use one as the left speaker and one as the right speaker of a stereo pair. Altec Lansing sent me only one Mini LIfejacket III, so I didn’t have a chance to test this; but with the other implementations I’ve heard, it makes a huge difference. How could it not? Beyond outstanding fidelity, the Mini LifeJacket III delivers the most-wanted assortment of portable speaker features. There’s a micro-USB port for charging the unit, an 1/8-inch stereo aux jack for analog input signals, and a full-sized USB port that you can use to charge other devices from the speaker's battery. Please note that those jacks, and consequently the unit itself, are only waterproof if you keep the rubber cap fitted over them. Said cap is snug, and not particularly easy to pry open, but you’ve been warned. Controls consist of an on/off/Bluetooth pairing button and volume up/down buttons that can also be used to switch tracks if held continuously. I did have a problem getting the Mini LifeJacket III to show up for pairing initially. This is hardly a first when it comes to me and Bluetooth, so it may well have been user error or my rather unique talent for making products misbehave. After about three tries, everything was hunky-dory. One thing that sets the ruggedized Mini LifeJacket III apart is its universal bolt-hole hard point and a bag full of hardware that can be used to attach it to, say, your bicycle’s handle-bars. Just as in the photo below. Cool if you’re not peace-seeking hikers looking to commune with nature’s symphony. 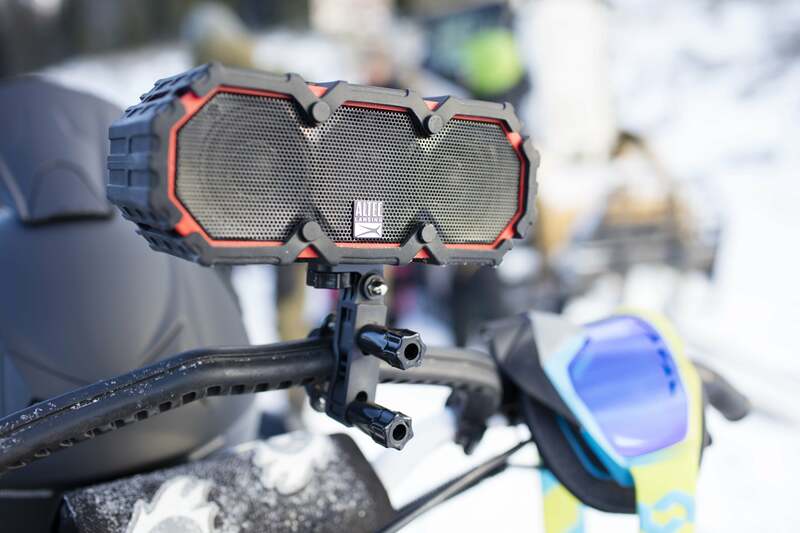 The Mini LifeJacket III comes with hardware and features a hard point that allows you to mount it to handlebars, a tow-rope handle, or what have you (the speaker in this photo is actually the older Mini LifeJacket 2). Altec Lansing claims 10 hours of battery life, and I got about eight, although I spent a lot of time fussing about with it and pairing it with various tablets and phones. Mileage will vary but it lasts quite a while. Did I mention that our test LifeJacket III plays Wagner when it’s paired and your phone rings? "Ride of the Valkyries." As with anything audio-related, it’s about sound, and taste is personal. But Altec Lansing’s slogan is “Just Listen”, and while marketing phrases are generally meaningless, I think you should give the company and the Mini LifeJacket III a chance. I think you might like it. Note: This article was edited to correct details and call out the unit's lack of bass response on June 17th, 2016. With better-than-average sound; mounting hardware; and a rugged, waterproof enclosure, Altec Lansing's Mini LifeJacket III is one of the best portable outdoor Bluetooth speakers we've tested.